* As the US distributor for Sumitomo USA, these products are rebuilt at our facility in Colorado and also at the Sumitomo factory in Pennsylvania. SynSysCo provides three levels of cryogenic pump rebuild service. The warranty term is based on the severity of service in which the pump will be placed. Please contact us for full details. Service turnaround time is typically 10 to 20 working days after receipt of goods. Expedited services are available. All system application and configuration support is conducted from our Montrose, Colorado facility. Please contact us for troubleshooting, application consultation, and equipment configuration needs. All cryogenic system repairs are managed through our Montrose, Colorado office and we work interactively with Sumitomo worldwide facilities to support OMNI® and Marathon® equipment and systems. OMNI helium compressors and Marathon cryopumps and compressors are supported from ten (10) locations globally in the USA, Asia and Europe. 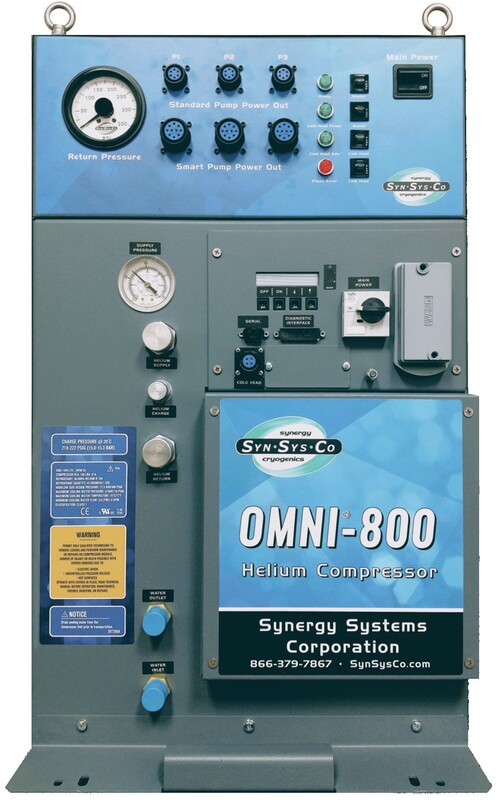 Feel free to call us in Montrose at 866-DRY-PUMP (866-379-7867) or send us an email, and we will be happy to discuss the advantages of OMNI® compressors and the Marathon® equipment line.